It also promotes individual and collective research by the faculty and the scholars. The students of the University have the distinction of becoming active part of the HR of the corporate world. The University is committed to meet the augmented demand in the expansion of specialized courses form time to time, and is striving hard to provide appreciable scholastic activities to the increased number of students. of land is being used effectively and efficiently for the developmental activities from the available sources and funds from the UGC, State Government and other sources. The various departments on the campus are well accommodated in different buildings of their own with lawns. They have well-ventilated classrooms with audio-video facilities, seminar halls, computer labs, and faculty rooms. The laboratories in the science departments are equipped with the ultra modern scientific instruments to accelerate effective research. The faculties of all the departments, with 248 teaching staff and 622 non-teaching staff, are committed to and well versed in their respective subjects. They have excelled in imparting quality education and also represented their respective departments in many National and International Seminars and brought laurels to the University for their excellent research. Kakatiya University is located in the historical town, Warangal, erstwhile seat of the Kakatiya rulers and an important town in north Telengana Region. It has completed 25 years of its existence. 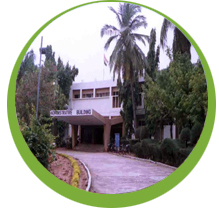 The University originally established as a post-graduate college in 1967 with 4 departments has grown enormously during these 26 years extending its jurisdiction to cover the four economically backward districts of north Telengana region, namely Adilabad, Karimnagar, Khammam and Warangal. The University Post Graduate Centers at all the district headquarters and at Kothagudem, Nirmal and Godavarikhani have become full-fledged colleges and are efficiently fulfilling the academic needs of socio-economic backward region of rural Telengana under the jurisdiction of the University. The University is offering about 120 programs at Undergraduate and Postgraduate level in the Faculties of Arts, Science, Commerce and Business Management, Social Sciences, Education, Engineering and Pharmaceutical Sciences with 180 constituent and affiliated colleges spread over four districts of Telangana, India.